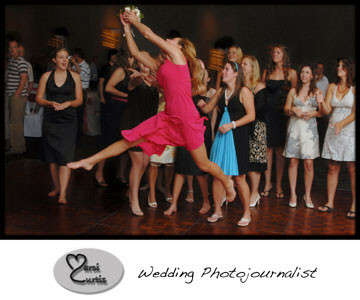 I’m a real photojournalist with over 600 happy wedding couples who love my story telling photos, happy demeanor and personal attention to details. Using my ninja photo skills, I unobtrusively capture real moments. You own all the high resolution images and have them back ready to print in 2 weeks! I think I have one of the coolest jobs in the world. Just about every weekend I get to witness a unique wedding day story unfolding in front of me and I get to capture all those behind the scene moments. 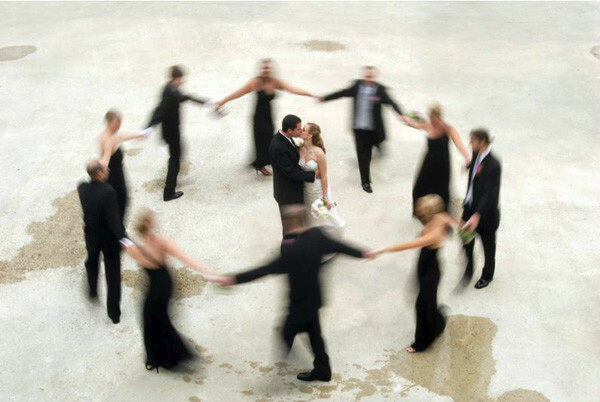 Every couples is different, so each wedding day photo story is unique. 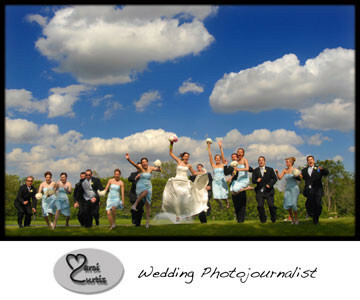 I’ve shot over 600 weddings and my clients love me just about as much as I love my job! They appreciate my unobtrusiveness, my helpfulness and that I slip into their day so seamlessly. They also love the fact that they get to own their edited, fixed up and ready to print high resolution images and that they arrive within two weeks of their wedding. I often see my clients again and again… not because they’re getting married, but I often end up shooting other family members, or their babies, families, workplaces, you name it. We end up forging a great relationship that lasts well beyond the wedding day. Marci was professional, enthusiastic, funny, and somehow seemed to be everywhere at once. We received our pictures a week after the wedding despite a holiday weekend between, and they are beautiful! Marci perfectly balanced artistic flare with capturing candid photos of friends and family that we’ll always treasure. She was unobtrusive at the wedding and went so far as to lay down on a cold sidewalk in November to get great pictures of our wedding party– what a trouper! Loved working with her and would hire her again for anything! What can we say?! We LOVED Marci!! She was 100% helpful and seriously just amazing! Helpful, because in the middle of our planning process we decided to switch ceremony venues and we reached out to her for some ideas that we maybe hadn’t thought of; she was prompt and more than willing to offer great suggestions. The pictures that she captured of our day were simply stated – gorgeous! We have over 1,700 pictures to choose from – wow! We just love the fact that all of the pictures are ours to print until we can’t print no more! :o) Her daughter Skye ran the photobooth for us and she was just a joy too! After seeing the pictures we’ve had several guests, say I didn’t even know that she was there; she really does just seem to hide away, but still captured all of the moments that we would have otherwise missed! Thank You, Thank You, Thank You! Marci was AWESOME!! Not only did she document our entire day from start to finish in pictures, but she was there to help me with my dress when it got stepped on and ripped, and almost acted as a “day-of” wedding planner. She’s a great photographer and really did get pics of EVERYTHING, even the things we had no idea were going on. She anticipated things that were going to happen, and captured each moment as it unfolded. She took tons of candid shots, which is what we were looking for. Wouldn’t have changed our photographer for the world! Marci is an amazing photojournalist. She was very upfront with her pricing and was worth every penny. She was able to capture amazing images of our big day with ease. She was friendly and made us fell comfortable (huge pluses) and was easy-going when our day didn’t go exactly as planned. She also offers a photobooth option, run by her daughter. Our guests loved it and we got some amazing pictures from it. The best part is that we had CDs with all of our images in hand within 2 weeks of our wedding! We can’t recommend Marci enough! Our pictures are priceless! The photojournalist style was just what we were looking for. Every moment was caught just as it happened. Marci caught all of the smiles, happy tears, and love. We received all of our photos on a cd, which allows us to share and print as we please. We can’t say enough good things about our photographer, her work speaks volumes for her style and priceless moments caught. We also had Marci take our engagement photos and they were fantastic. Marci got absolutely fantastic photos of our wedding and I love the fact that you get the rights to ALL of your pictures, which are very high quality and digital. She just seemed to be in the right place at the right time the entire day. We loved Marci! 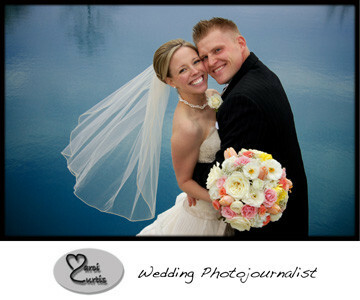 Her photos were amazing and all of our guests are still raving about her. Her “paparazzi” style photos will help us relive our wedding for many years to come. She truly helped make our day even more special! !